. كما يقدم Park Avenue Holiday Units الكثير من الخدمات لإغناء رحلتك في ألبانى. إن واي فاي مجاني في جميع الغرف, تسجيل وصول/خروج سريع, تخزين الأمتعة, واي فاي في المناطق العامة, صف السيارات هي جزء فقط من الخدمات التي تميز Park Avenue Holiday Units عن باقي الفنادق في المدينة. استمتع بوسائل الراحة الراقية في الغرف أثناء إقامتك هنا. بعض الغرف تتضمن تلفزيون بشاشة مسطحة, اتصال لاسلكي بشبكة الإنترنت (مجاني), غرف لغير المدخنين, مكيف هواء, تدفئة لمساعدتك على استعادة طاقتك بعد يوم طويل. يمكنك طلب اللائحة الكاملة للخدمات في الفندق ومن بينها حديقة. إن كنت تتطلع إلى إقامة مريحة وهادئة في ألبانى، فستجد في Park Avenue Holiday Units بيتك الثاني. لا يمكن تسجيل الوصول بعد الساعة 07:00 مساءً. ويجب على النزلاء الذين سيصلون خارج ساعات تسجيل الوصول المحددة التواصل مع العقار مباشرةً قبل وصولهم حتى يتسنى إجراء ترتيبات بديلة. Pleasant stayed there with good facilities, especially we can cook in the chalet. Great location and the rooms are clean. 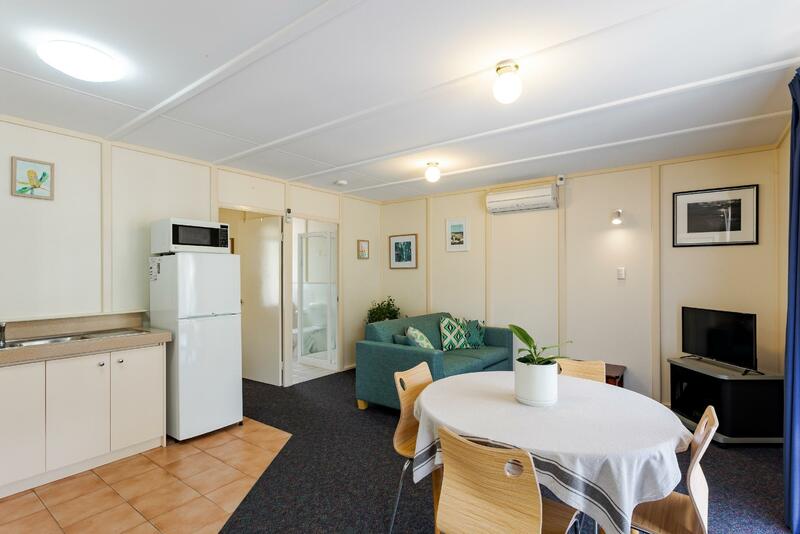 Walking distance to the beach, park and food restaurant. Lastly, Mr.Brad was very friendly recommended nice place to eat and popular tourist attractions to explore. Self contained holiday unit. There is a kitchen and living room. 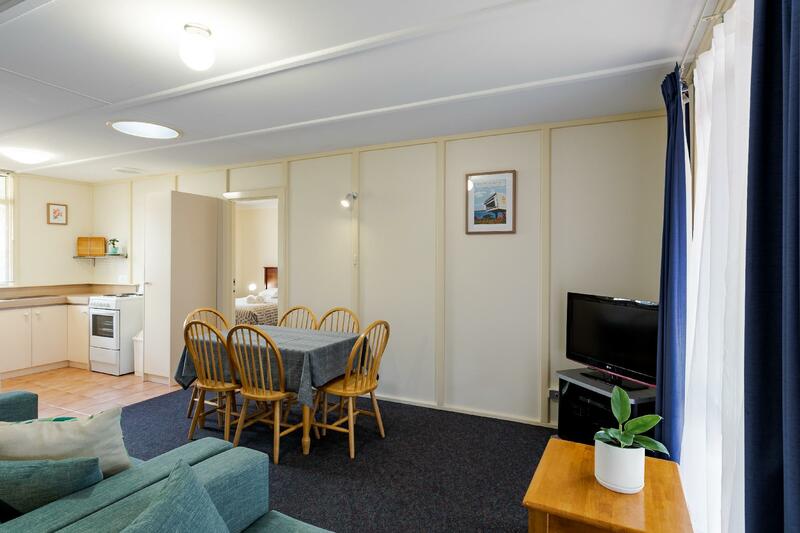 There is also a file in the accommodation containing the touristy information of Albany. Is min drive to various beaches and cafes or supermarts. Each unit had a parking lot. Easy check in and out. We able to find the holiday units with Google map, it is very easy access to Albany city center and also some nearby attractions. The unit has everything you need.. only one thing is the water pump will make some noise when we shower. The unit is kind like older a bit but I would say is very clean. We reach the unit very late and the staff has left but leaving us a note is tell us how to check in / wifi password and how to park our car. We have a great stay during this 2 nights. Staff was not in reception when we arrived but a check-in letter was left for me at the office door. short driving distance to food and the sea. apartment was clean and spacious. only 1 AC provided in living area so it got abit in the rooms at night if you do not open the windows. overall great stay and will recommend to friends. I love this hotel alot . I was arrived late for the day and they prepare my room with key and some map and information in the living room . The whole of the unit is clean! We cook our dinner inthe kitchen and fully equipment ! The toilet is clean as well . Overall i love this unit alot and i will be back for next time! The most wonderful stay during this trip, the unit is very clean, fully equipped kitchenette, parking right in front of our unit. Comfortable bed, really feel like staying at own home. Will definitely come back here if we are travelling to Albany again. Highly recommended stay. Free parking is available. Complete cooking utensils. The owner will give details of what you can't do - no smoking, etc. Provide a map and explain the point of interests in the area. Overall, friendly service. The owners and their parents are absolutely lovely and made us feel really welcome. The villas are located off the road so are very quiet. The gardens and bbq facilities are immaculately kept. The villa was spotless throughout, roomy, warm (in winter), and well-equipped for self-catering. The villas are located perfectly to walk to Middleton Beach (5 mins) and to the town centre along the boardwalk (about 1-1.5 hours). Felt so comfortable we extended our stay. Highly recommend Park Avenue and would not hesitate to stay again! When we arrived late to Albany, the reception is closed.But they left a letter outside the door and tell us how to assess to our room. The light is on, with the heater is on too, this is really appreciated in a cold weather. The cabin has everything it should have, clean and spacious. We really enjoy our stay here! Excellent location for family with self drive holiday. Car park is just outside the unit. Nice appartment with all the necessity except a washing machine. Worth coming back again. Morris, I believed is the owner, he is very helpful and friendly despite we check in at late hours. Comfortable bed too. We booked a unit for 2 bedrooms (1 queen bed and 2 single beds). The rooms are very clean and cosy and the full kitchen facilities meet our needs. The living room space provide some extra space for relaxation. Managed to talk to the owner and manager whom we found very helpful and friendly. The laundry close at 7 p.m which we thought should be extended (but we make any request to the management). Overall, I would recommend for those who look for a reasonable priced unit for family with kids. We stayed for 3 nights. We had such a lovely time, from our late check in where instructions were left for us and communication before hand the stay was great. My mum and sister were on the trip and the location is close to the beach, parks and cafes/restaurants which was so easy. A short drive to the main part of Albany. Nardia was so nice and made sure we were comfortable and came to introduce herself and see how we were enjoying our stay. Facilities were excellent, the stove, oven, microwave and all the utensils you need was great as well as a decent size fridge. We will be back!! Friendly and very informative host! Beautiful getaway place. Very quiet and romantic area. Clean and great location. Congratulation.